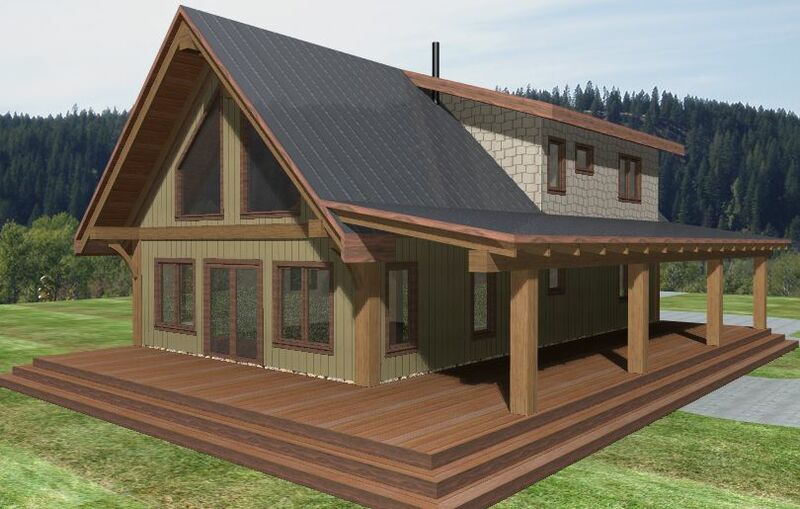 The Turtle Valley home is a partial timber frame design that satisfies a smaller budget. 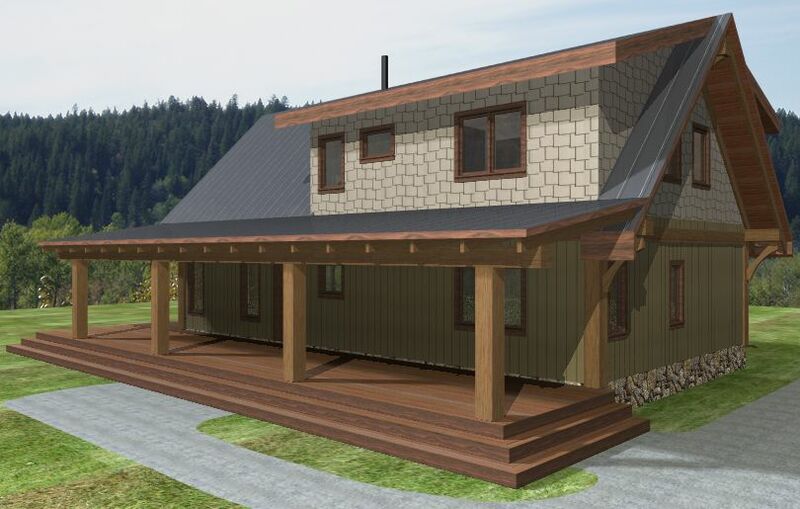 This contemporary meets rustic retreat provides a lot of style and function in a small space. 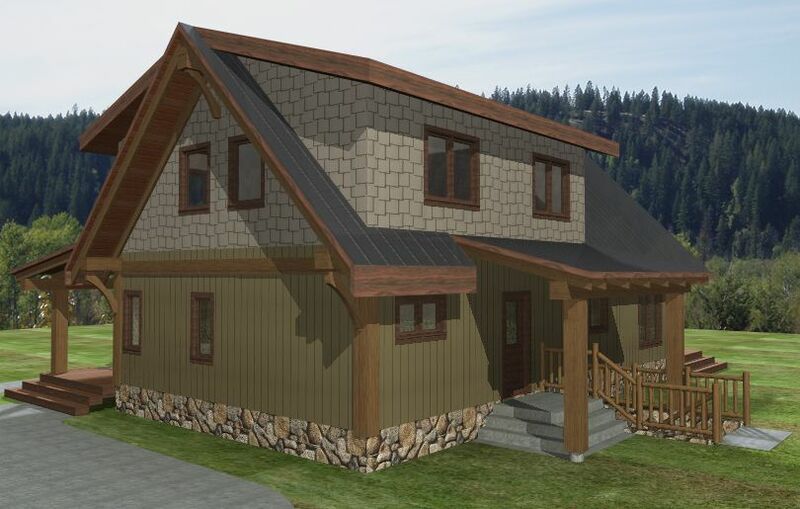 In fact, this more compact timber frame home design won the 2013 Silver Keystone Award for ‘Best single family detached home between 1,500 – 1,999 sq.ft.’ presented by the Canadian Home Builders Association. 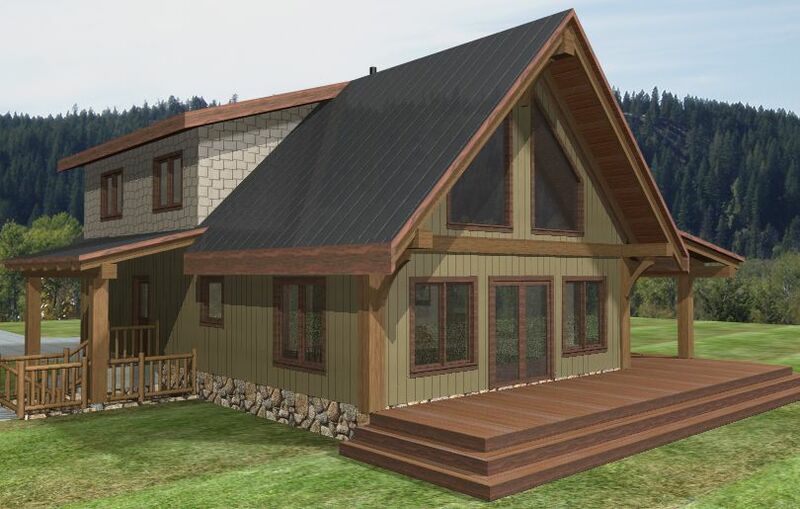 This timber frame log home’s entry opens into an open-concept kitchen and vaulted great room from which you can step out onto the wrap-around, covered porch to enjoy your morning coffee and take in the view. The main floor also features a private master suite with large walk-in closet and ensuite bathroom. The second floor of this intimate home offers two bedrooms and one bathroom.